If you’re looking for a large range of printed promotional products that are in stock and ready to have your logo branded on them than you have found Australia’s best supplier of fast turnaround promotional items. Within this specially designed category you will find various items such as printed pens, custom printed note pads and many more printed promotional items. Relating your promotional products to a specific theme or event is an essential part of gaining great brand exposure! Vivid Promotions has selected some products for our themed categories to help you decide on the perfect gift idea for your next campaign! 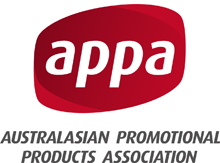 Check out our Premium Australia Day Products such as Aussie Caps, Stubby Coolers and Keyrings, Our Christmas Promotional Products which include Christmas Stockings, Santa Hats, Holiday Tote Bags and more. Valentine’s Day is also a big seller and with our Heat Shaped Gift Ideas, you'll be able to spread the love! Easter is next to follow and Vivid Promotions certainly had a large range of Easter Chocolates, Easter Bunnies and Novelty Easter ideas for all. Add your logo, company details or personal message onto all of these fantastic gift ideas and hand out to clients and friends. Earth Hour Promotional Products will make you think twice about all of the electricity you use with our power saving ideas and Novelty Items. Make saving energy your theme and support Earth Hour every year. If your target market is Children, then Vivid Promotions’ Promotional Products for Kids is sure to impress. We have colouring sets, kid’s activities, Crayons, Bucket Hats, Toys and more. When it comes to Men, we have a range of men's gift ideas for various events and budgets. For those who travel, our Men’s Gift Packs and Shaving Packs are a great idea. We also have unisex lotion, muscle balm and hair gel options. Vivid Promotions also caters to Women’s Promotions with our large range of Printed Nail Files, Soaps, Body Lotions, Lip Balms and Candles just to name a few. Hand out to clients, Mother’s, friends and anyone who would love and appreciate these premium gift ideas for ladies. If you stock various merchandise items in the office then our Promotional Products for the Office is a great category to browse through. We have Promotional Calendars, Compendiums, Pens, Notepads and other office essentials that are used on a daily basis. Products like these certainly pay for themselves with all of the great brand exposure they get every day. When heading to a trade show or holding stalls at a trade show, it’s very important to promote your brand with some Customised Promotional TradeShow Products! Products like lanyard are great for both stall holders and visitors, we have Hand Sanitiser, Pens, Lollipops and other great giveaway ideas that leave your brand in your clients hands long after their visit. Not only are Vivid Promotions’ Merchandise items great for businesses, they are also brilliant for Wedding Favours and Table Gifts. Think Personalised Chocolates, Engraved Bottle Opener Keyrings, Wrap Print Stubby Coolers and Custom Printed Coasters. All of these items can be customised with your wedding date, Bride and Groom’s names, the location and any other lovely messages that you wish to include. Wedding Bonbonniere Products are memorable, cost effective and a fun idea for all.